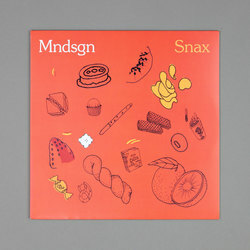 Mndsgn - Snax. Vinyl LP. Bleep. Mndsgn, pronounced ‘mind design’, is the stage name of experimental hip-hop artist Ringgo Ancheta. Gaining notoriety after his collaboration with Danny Brown on ‘Sweeney Song’, Mndsgn released his first solo album, entitled Breatharian, on the Fresh Selects imprint back in 2013. He has released a subsequent three follow up albums on Stones Throw Records (one of the labels affiliated with J Dilla before his death in 2006). 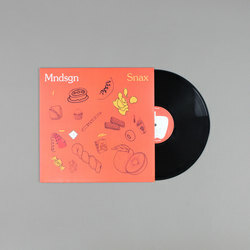 His latest album, SNAX, makes for easy and laid-back listening, a soulful blend of muted jazz and hip hop inspired beats played out under positive refrains like ‘I got da vibe’.